Yesterday morning beginning at 4:30 a.m. - Yep for real! It has become the normal wake-up time in our household, and until 8:30 p.m. last evening I cut fabric. My neck keeps cracking today having used those muscles for rotary cutting pressing down for such a long period of time. I am happy as can be though having a good leaping start on a couple QALs I have wanted to participate in. Better late than never - right? The first is Happy Quilting's Star Light Star Bright Quilt-A-Long. I am so excited about this project. If this is the first you have heard of this QAL I suggest you go take a peek at her place. Melissa has done such a fantastic job of designing, planning and writing the instructions that have been revealed as of date. Cutting the fabric per her instructions was a breeze! This is an image of the Star Light Star Bright quilt! Can you hear my heart going pitter patter? Click on the button on the left to learn more about the Star Light Star Bright Quilt-A-Long. Scrumptious cut and ready to be sewn! Scrumptious by Moda - Spring time happiness! I am equally excited about participating in Quilting is More Fun Than Housework/Cynthia Brunz's I Scrap-A-Palooza Challenge. In my humble opinion she is equal to being called Queen of Scrap Quilting as Bonnie Hunter. Cynthia's take is more on the modern slant vs. Bonnie's being more traditional. Cynthia has assisted me (via her blog messages) in reducing my scraps and old stash into some nice quilts. Her quilts are creative, some sophisticated, some cheerful, colorful and fun. 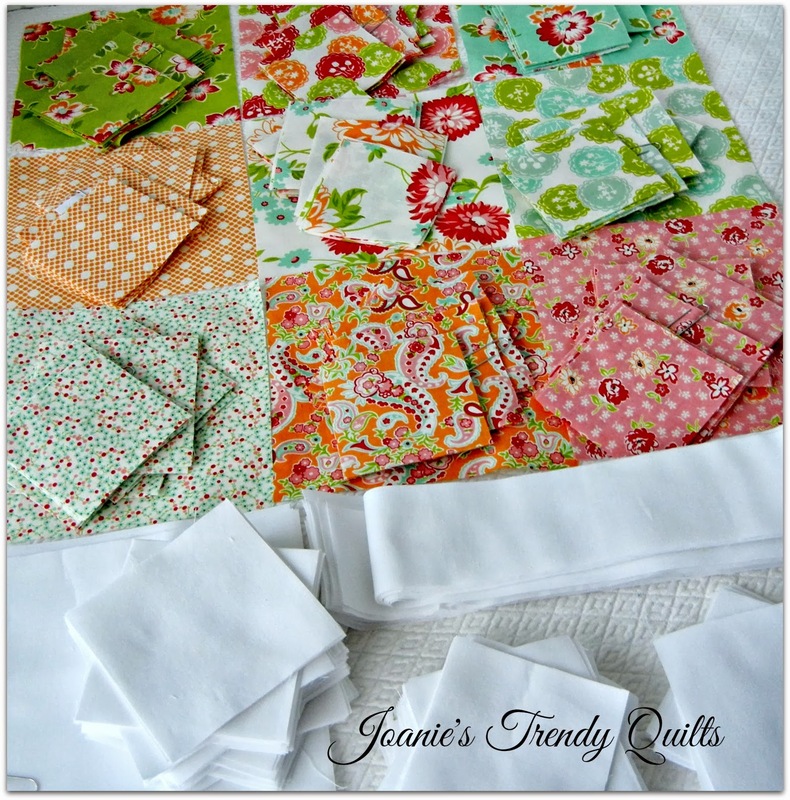 She has a great organizational system, something that is needed when scrap quilting. As I was reviewing the stages of Scrap-A-Palooza she suggested giving your project a title, something I rarely do. 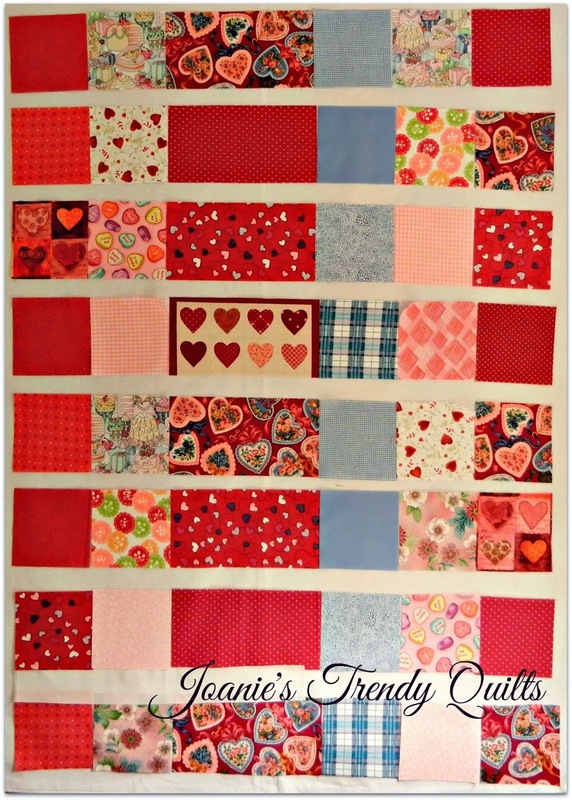 So since we are coming upon Valentine's Day I have titled my quilt Modern Celebration of Valentine's Day. I knew I had some fabric with hearts, and red and pink fabric. Now with my creative brain being motivated and spurred you can see the results. It looks great on my design wall! I will let it sit a couple of days to make sure I shouldn't move around a block or find an alternative fabric from one that might look like it is sticking out like sore thumb. 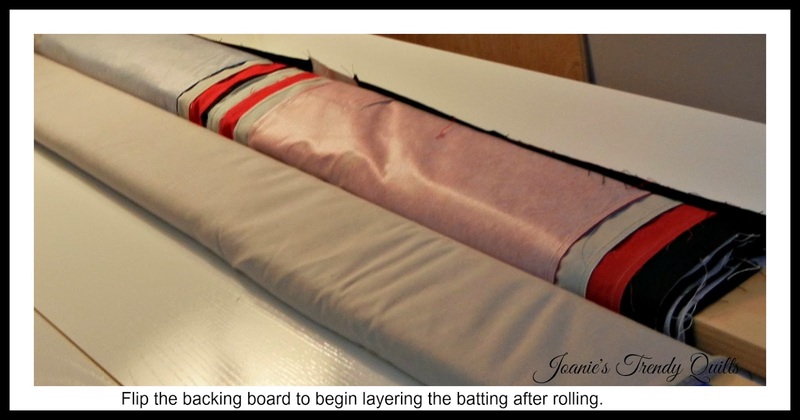 I am leaning towards using white strip sashing. 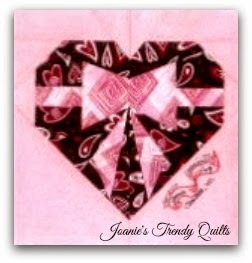 I have a couple of other fabrics with hearts that might work as well. Electric Quilt did the work for me. 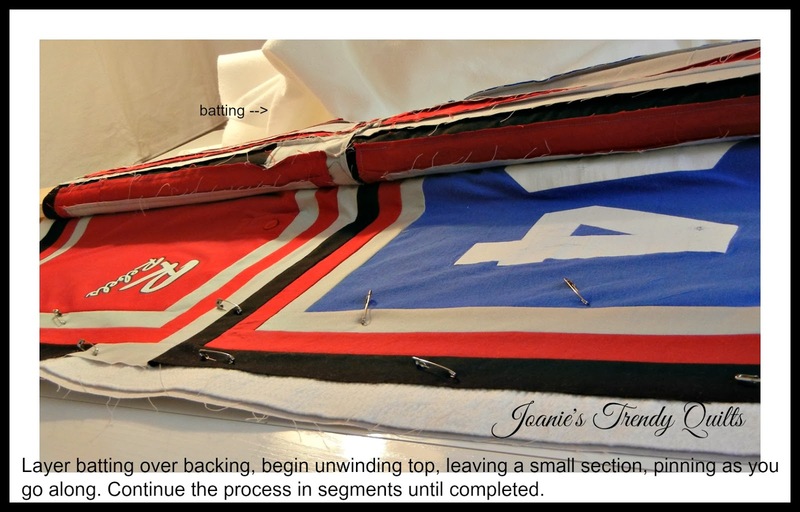 :) Cynthia has a good method for planning, sizing your quilt and the math to go along with it if you don't have a quilt design software program. This was a first to cut out 2 quilts in one day for me! Can you believe me when I say I was tired by days end? It was a good day! Both Star Light and Star Bright are quilts on my Bloom Project lists. So I am forging ahead. 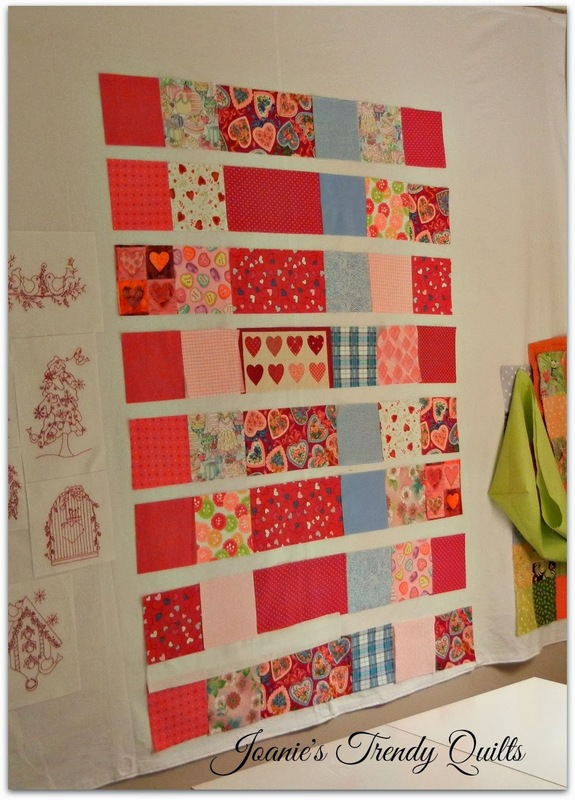 Other participants have said: Paula is set to finish 2 of her quilty projects In February. Yeah for Paula! Marsha states she is working away already! Bea says, I am looking forward to finishing some of my UFOs :)." Marge says, "I think that will definitely help me to stay focused, and as you say, save on the budget by sticking to projects already in mind." Anyone interested in learning more about the Bloom Project can click on the button located on the right side top of my blog and read all about it. February 28th is the new deadline date. 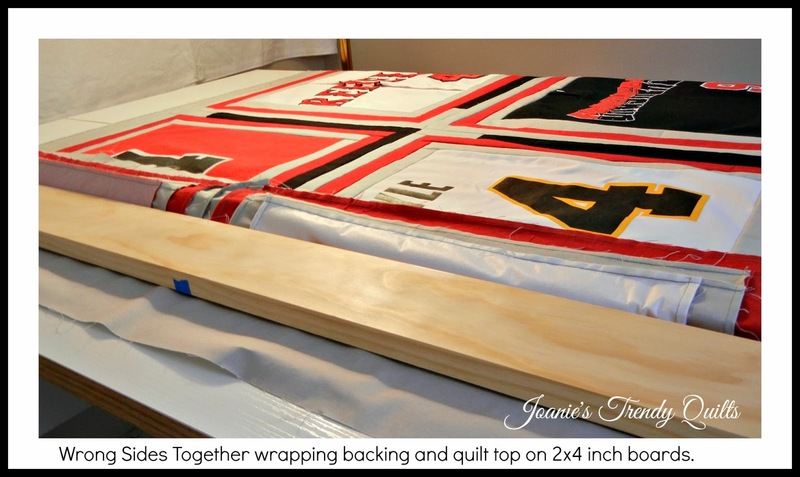 Baseball t-shirt/jersey quilt is now completely quilted. Left to do is sewing the last section together and binding. This will be a February finish. 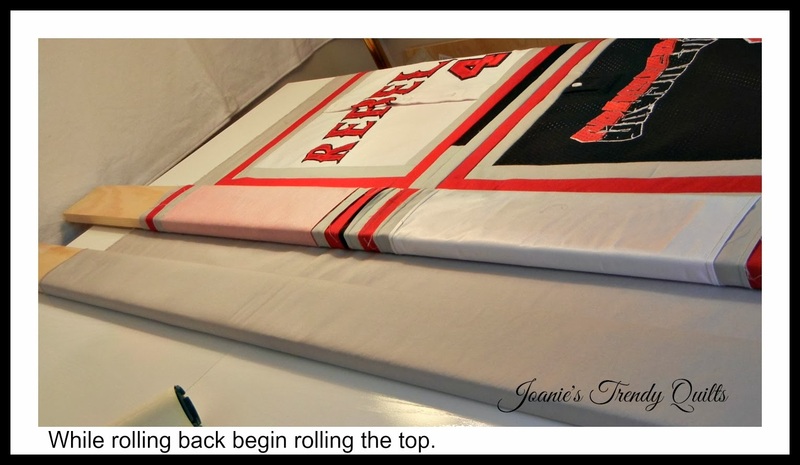 Looking forward to giving it to my grandson and the reveal of the finished quilt. For about a month I have been scavenging around to find a small tote that I made with a paper pieced heart and bow. I happened to come across it this morning when sorting and organizing scraps for the I Scrap-A-Palooza challenge. Yippee! just in time to share with everyone with the holiday coming on us! The other blocks below were made several years ago for a block swap. Thought I would send some Valentines Day love since it is this coming Friday. Thank you for visiting and wishing you a great sewing or quilting day! I love hearing from each one of you! Wow, aren't you productive! I am spinning with all the projects you are working on. So happy to see you are joining in Happy Quiltings QAL. I love your fabric! And thanks so much for joining in my Scrap Party, Scrap-A-Palooza. 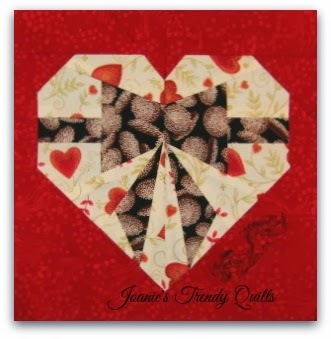 Your valentines quilt is adorable! I still owe you my UOF and NewFO list. Maybe I will work on it now! You are sure keeping busy! I have to say the Scrumptious Star Light Star Bright Quilt-A-Long looks like it is going to turn out to be a real winner. What a great pattern to use the fabrics from that delicious line on! Can't wait to see how each of your projects turns out! 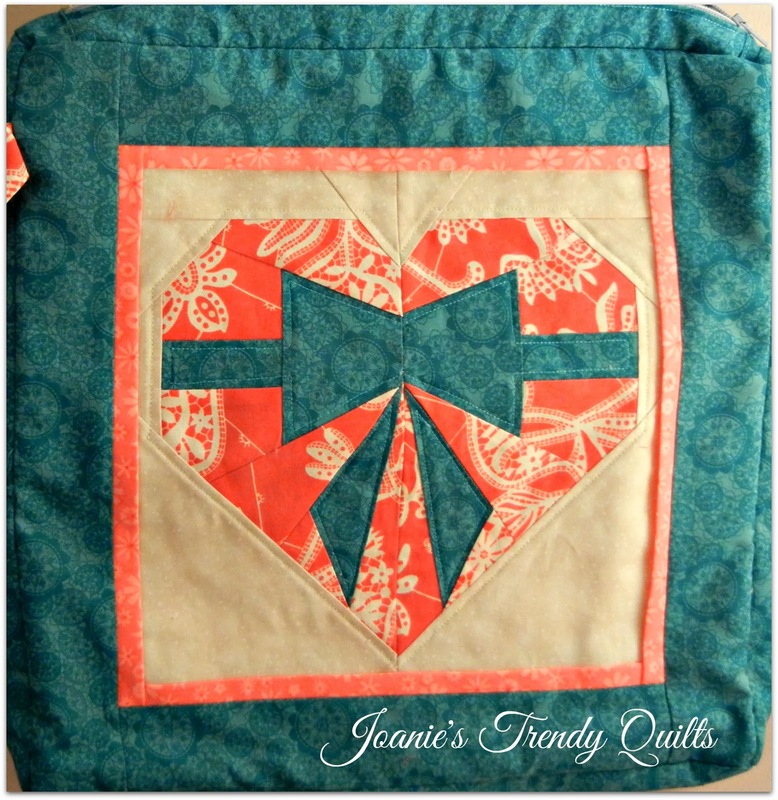 Love the paper pieced heart! Yikes...its like when you say it out loud I have to actually do it! I am making progress so no worries:) That scrumptious is going to be amazing!!! I am doing the one block design for a change. Curious to see how I like it. My sister uses the method with the boards, works great. I clamp to the table top...just because I always have. can't wait to see your quilt-a-long blocks. Sounds like fun. Maybe later this year I will have enough time to devote to such an exciting project over just a couple of months. I understand the aches and pains of too much cutting in one stretch!! Hope you're feeling better! Lovely projects. You're making me feel the need to be more productive. Oh you are one busy lady! You cut out two quilts in one day???? I can't even imagine. I adore your spring time prints. I'm so done with winter :) Love your valentine tote, so sweet! Wow have you been busy!! 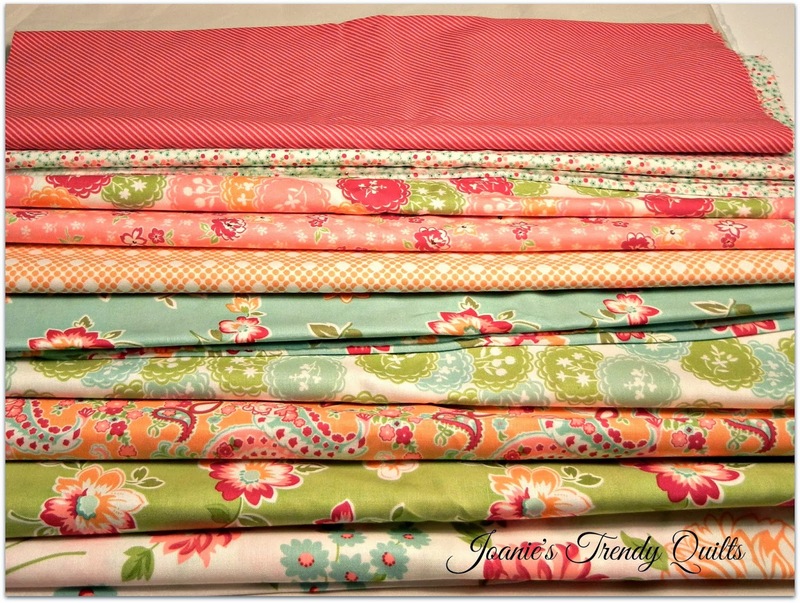 Great QALs and love the fabrics you are working with. Thanks for sharing.